In addition to private and group long term disability claims, Iler & Iler, LLP also represents clients denied SSDI and SSI benefits. The type of medical evidence required to support “total disability” is basically the same for each type of claim, the eligibility requirements are not. To be eligible for SSDI benefits, through your past employment, you must have contributed to social security for a set period of time. For SSI, no prior contribution is required. Instead, eligibility is based upon financial need. Unfortunately, the majority of social security claims are denied after the initial filing of the claim. Should this happen to your claim, it is important to seek legal representation as soon as possible. We have extensive experience in handling these claims. There are important deadlines and filing requirements that must be followed in order to protect your rights. 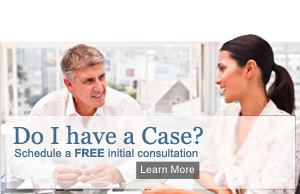 So it is essential that you consult with an attorney immediately upon receipt of the denial of your claim. We represent SSDI and SSI applicants on a contingency fee basis, whereby we only get paid should you receive payment for past benefits. No up front costs are required and our attorney fees must be approved by the Social Security Administration. WE CAN HELP! For a free consultation regarding your SSDI or SSI claim, please call us at 1-800-479-2453 or if you like you can e-mail us at info@ilerlaw.com. If you have not done so already, you may want to review the Social Security Administration’s web page at www.ssa.gov .